Here we are, 4 days to go before our big day, and time to pull our socks up in terms of getting you guys some lovely interesting content to read. We’ve had bit of a month of it, for many reasons, but it’s time to get organised and start looking forward to our new life together. It sounds a bit cheesey, I know, but I really am the happiest I have ever been. So please accept our apologies! 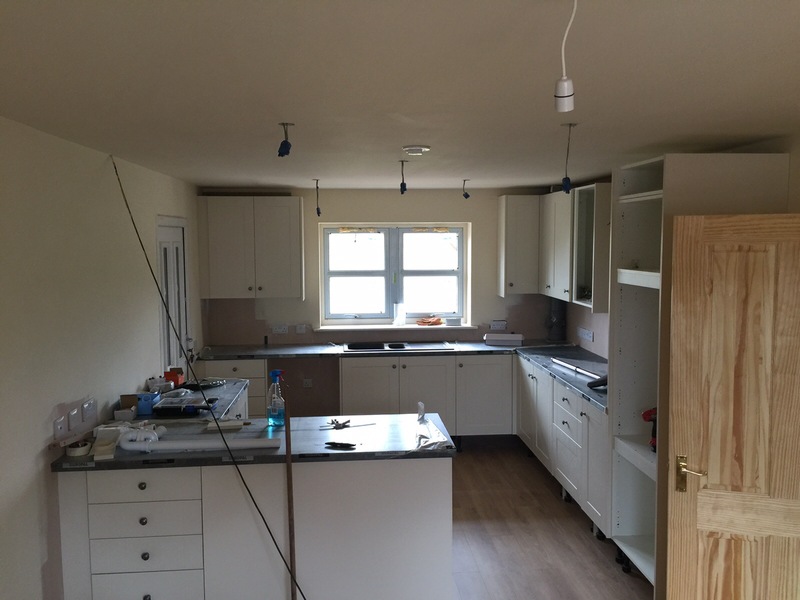 As for a quick update on how the house is progressing, well we very nearly have an intact kitchen, the electrics have been tested and approved, and Charles is whipping the water people into shape. My office is good to go, with the carpet for the upstairs due to arrive next week along with the boiler. We have so many hard working guys who are pulling out the stops to get the project finished, so saying thank you feels a little weak! While Charles has been busy working 14 hour days to get us into our home, I’ve been pottering around making things for the wedding, organising thank you cards and generally keeping my fingers crossed that nothing has been forgotten. 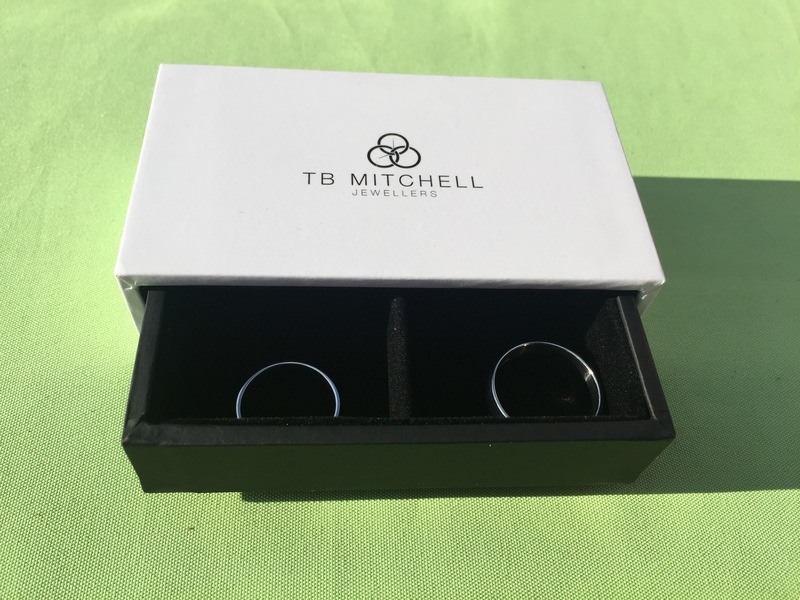 We didn’t really want a theme for our wedding, but we have had an overriding ideal that as much as possible should be reusable and good value for money. For my part, I was keen to make as much as possible, both because I enjoy crafts, and because it’ll help to keep things as personal as possible. 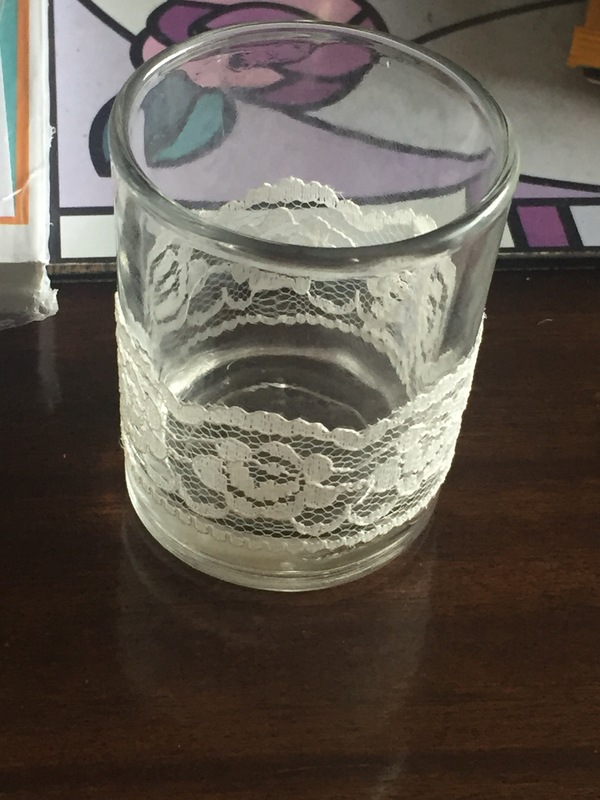 One of the easiest projects I took on was these little lace tealight holders which cost about £1 each all in all, despite going for £5 each on Etsy. 1. 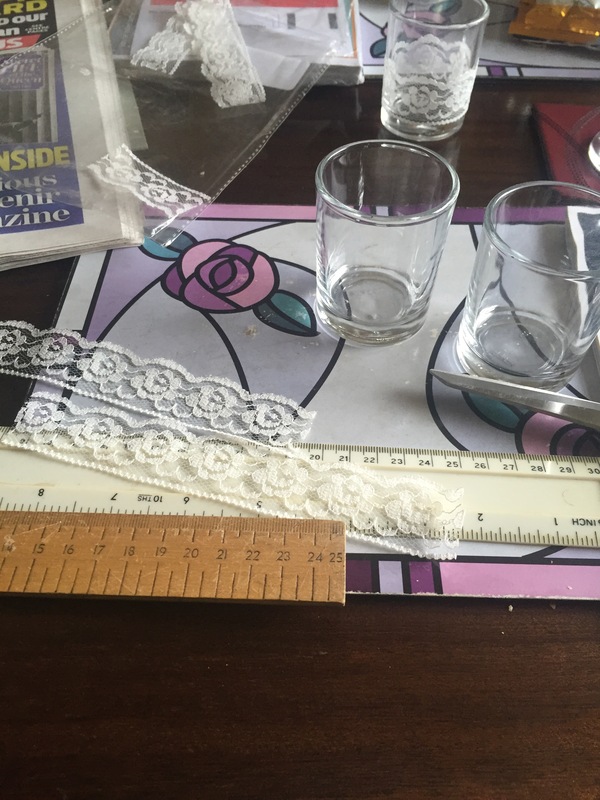 Use the measuring tape to measure around the glass at the point you’ll be wrapping your lace around. I decided the lace for these ones should sit just above the bases to let the lace hide the tealight as far as possible. You should measure to allow a small overlap and a margin for error to hide the glue line. 2. Cut the lace to size and plug in the glue gun to hear up, making sure there’s a glue stick plugged into the back, and that the glue gun is propped up over an old magazine or newspaper in case of dripping. 3. 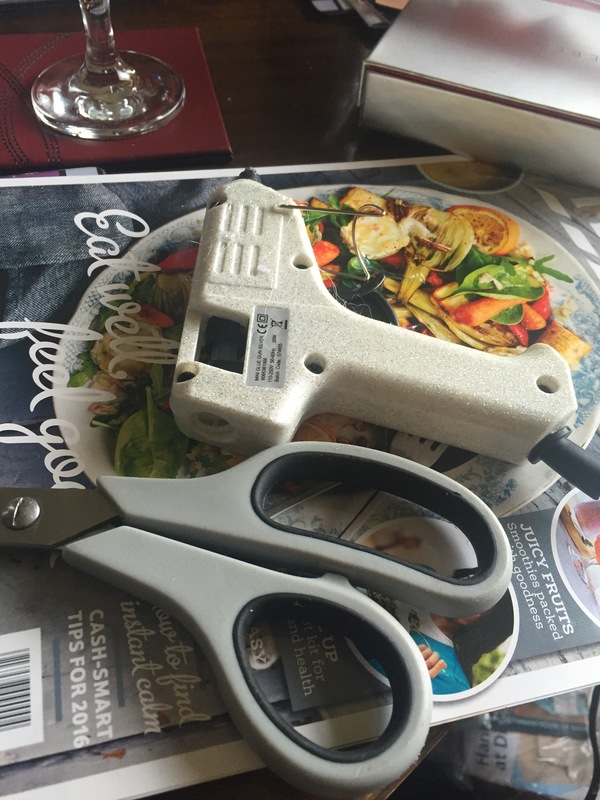 When the glue gun is ready, you should be able to test it out by squeezing the trigger. If hot glue comes out easily, you’re golden. 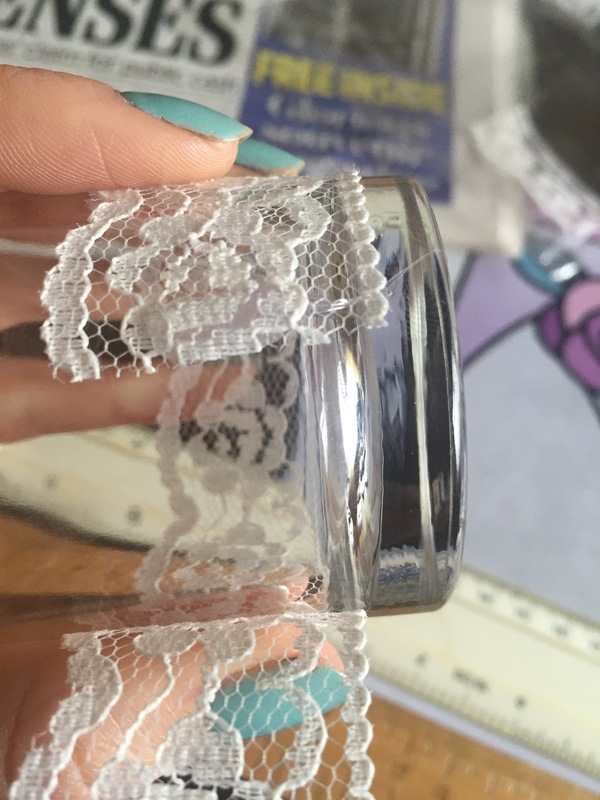 Squeeze a small line of glue onto the tealight holder and rapidly stick down one end of the lace. Be very careful not to burn yourself as the glue is really hot but will set very quickly. Once the first line of glue has set, pipe another line of glue just behind the first to avoid the dried glue being too bulky. Stick down the other end of the lace, being careful to match the line and scallop and to pull it right but not too tight. Let the set and trim off any excess lace. Pop a tealight in and you’re good to go. 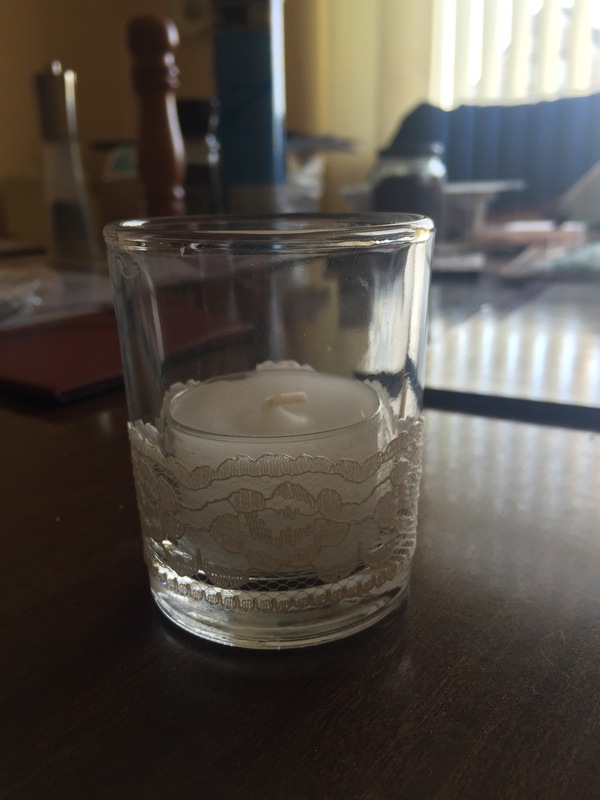 As we’re using these for our wedding, I bought 8 hour tealights which are deeper than the normal cheaper ones, but contain much more wax so they won’t run out of steam before the end of the evening. More foodie posts coming soon!